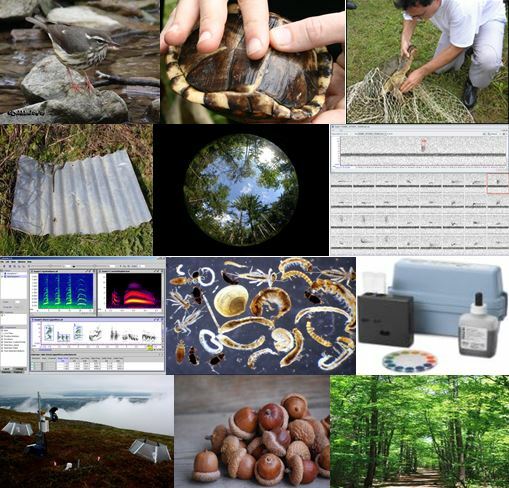 My current research focuses on understanding the dynamics of forest communities and examining long-term forest growth of North Carolina Piedmont forests. 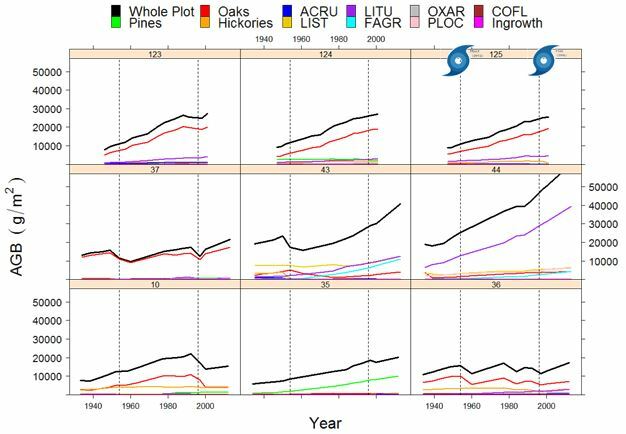 Specifically I am interested in examining recent growth trends and long-term successional patterns using spatially-explicit individual tree growth and mortality data located throughout the Duke Forest teaching and research laboratory. 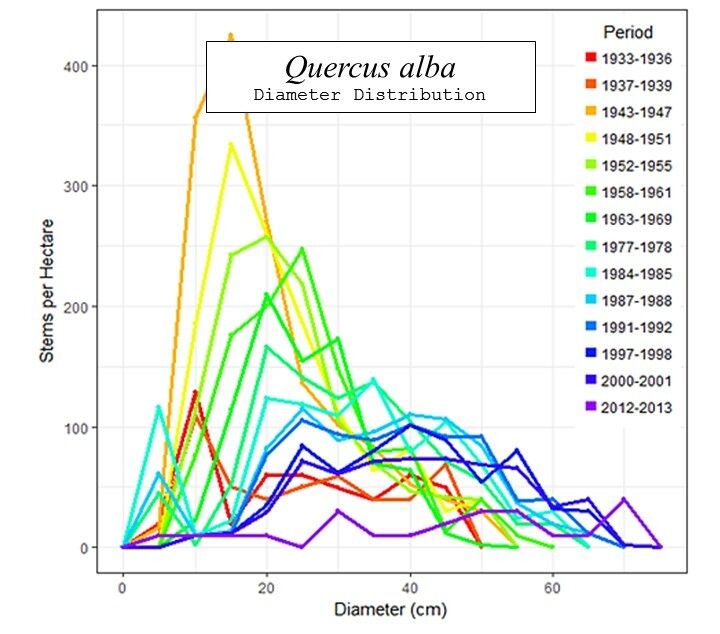 I am currently focused on patterns of biomass accretion across time and the effects that major disturbances such as hurricanes are having on the observed patterns. 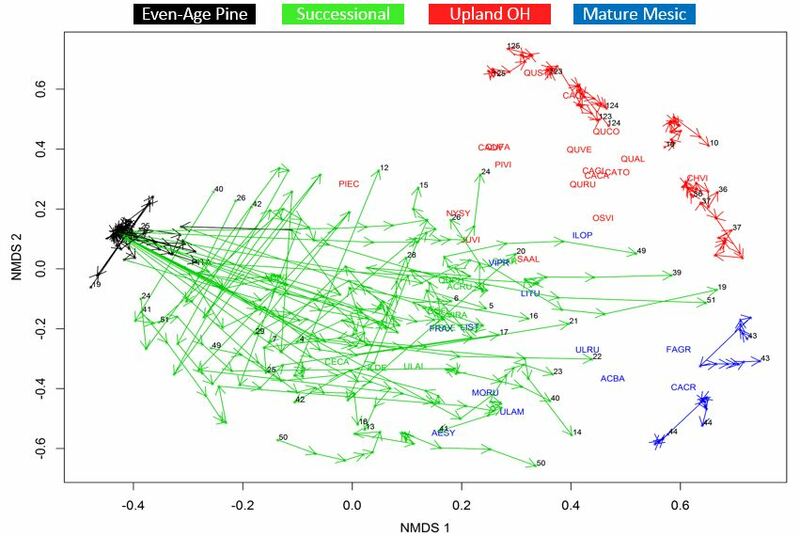 I am also interested in how various community types are changing throughout succession. 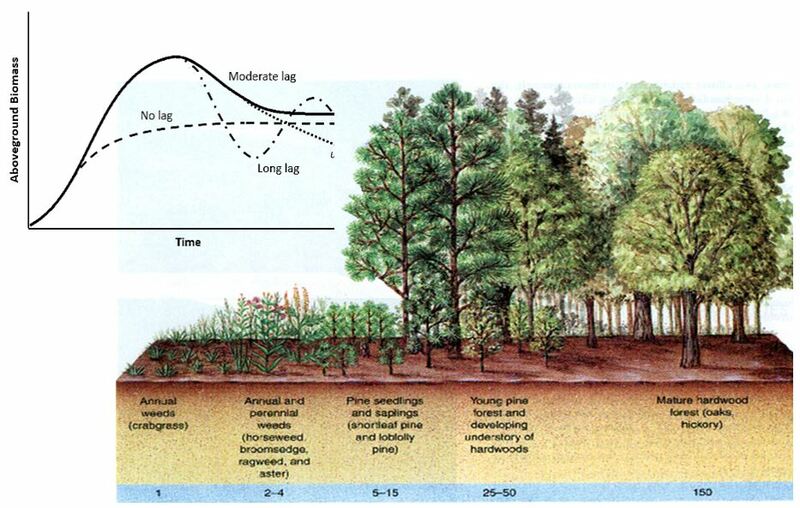 Specifically, I am interested in examining whether successional pine stands are succeeding ‘towards’ the current hardwood forests as is expected or towards a different novel community type. 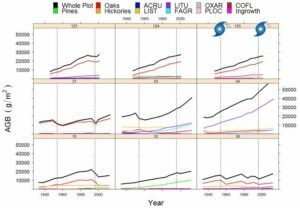 Further, I am trying to correlate any unexpected shifts in successional direction and rate to various stressors and disturbances, such as those attributed to long-term climate change, increased herbivory pressure from deer and periodic hurricanes. 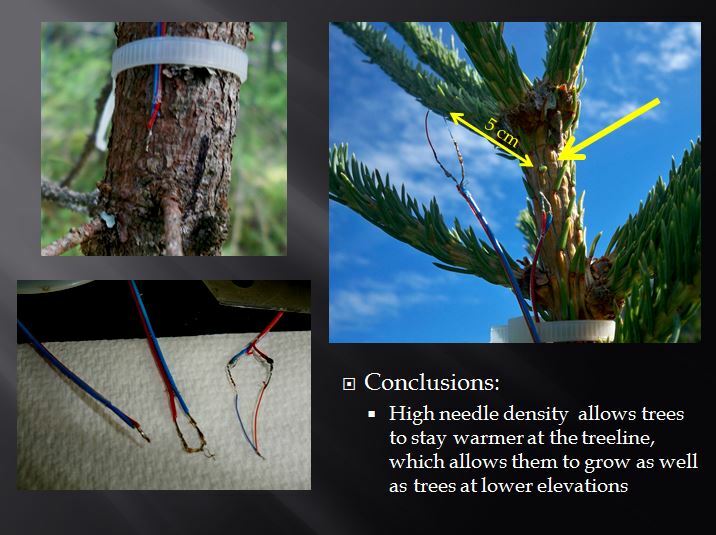 Thermoelectric thermocouple wires were constructed and placed around white spruce needles, stems, roots, and nearby air to examine microclimate temperature trends of spruce trees located at and below the tree-line. 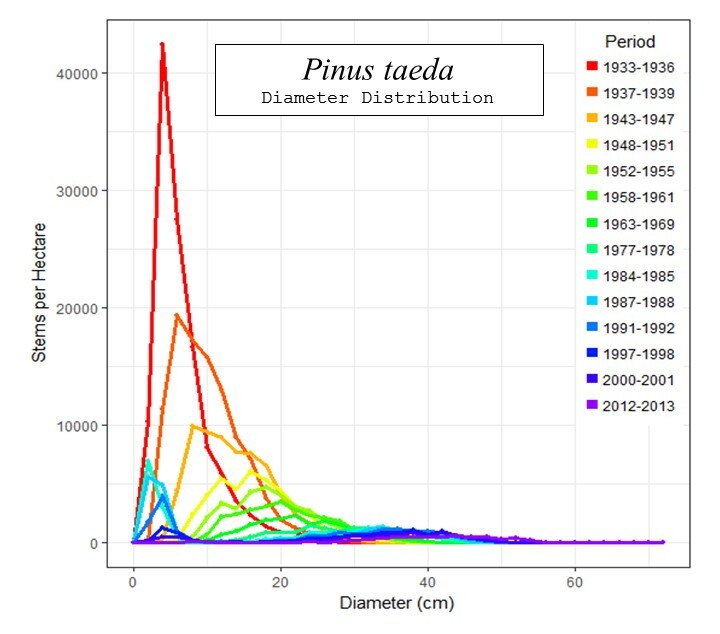 The diameter and extension growth as well as needle densities of the trees were continuously measured throughout a growing season to determine the effects and resulting adaptations of spruce trees to variable climates. 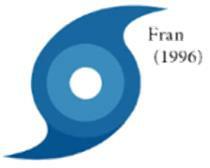 This data can be used to inform current and future climate change models. 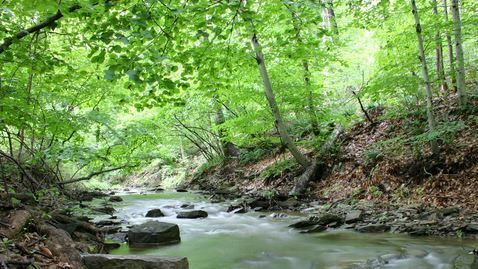 Ultrasonic acoustic recorders were used to determine the effect that stream quality, insect abundance and season have on the frequency of riparian visits from foraging bats. Understanding the general foraging ecology of bats will be invaluable to our response to the spread of the high-mortality fungal White Nose-Syndrome.